For about a year and a half I have been the proud owner of a Vampire Diaries fan page on Instagram. It’s called Obsessedwithvamps and as of today I have 5.5K+ followers. I love my account. I have made so many great friends through it and I have learnt and improved so much in my editing. I’m very proud of what I have achieved with Obsessedwithvamps. I regularly check back with my followers to get their feedback on my account. I do this because I truly value what my followers think about my account and I do want to make my account better. I always aim to make my account better. Till today, all I have ever received has been positive feedback. People love my account and my edits. Besides the occasionally negative comment or fight, I have never received anything that was intentionally nasty (well except for the people that start fights with me). Last night, I posted a shoutout for my brother. I promised a shoutout in return for following him which I do often and I usually return as many as I possibly can. After posting, I fell asleep. I woke up to a conversation on the picture saying that it was a scam and someone said that I was lame and that they thought I was better then that. Immediately I returned the shoutout. I tagged the person in the shoutout and replied to her saying that I do return shout outs and that I simply fell asleep. She replied an hour later saying, ‘I didn’t get a notification about a shout out. You’re sneaky.’ etc. I replied saying that I left her shoutout up for 10 minutes like I do for all shout outs and then took it down. It was there. Is it my fault that she didn’t see? She didn’t reply. ‘Your ugly’. That was her exact comment (yes it was grammatically wrong). I saw it and immediately the fact that 3 people just called me pretty and perfect ceased to matter. All that mattered was this one comment. I instantly replied saying that she was being rude. A few minutes later, two followers jumped to my defence as well. The person didn’t reply. I took down the video. I was hurt but I was having lunch and watching ‘Revenge’ at that time so I ignored it. Later that afternoon, after doing some school work, I was surfing the net and I just paused. I stopped and this person’s comment came back to me. The word UGLY kept repeating in my mind for a minute or two. I realised that this person’s comment had affected me quite a bit. I struggle a lot with how I see myself and how I feel about my body. I did not need this comment. I did not write this post because I wanted sympathy. One comment is nothing. I know that and I’m not going to cry myself to sleep because of it. I wrote this post because of how easy it was for this person to pass a two word comment like that and how much it upset me. Imagine 2 of these kinds of comments? 200? 2000? That what cyber bully victims go through. I finally understand how someone can take their life based on cyber bullying. If that one comment hurt me enough for me to take time out of my day to reflect on it, imagine what a cyber bully victim goes through. My point is to be careful what you say on the Internet. Don’t pass nasty comments just for the sake of doing it. It hurts. It really does. It’s so easy to post two words. It’s also so easy to bring someone down. “You’re pretty”, ‘You’re ugly”. Be careful. Be kind. 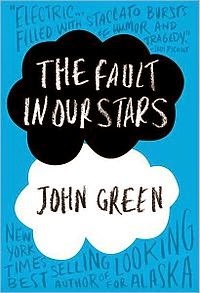 For my first blog post, I decided that I would like to tackle The Fault In our Stars by John Green. I wanted to give my honest opinion of the whole TFIOS craze that’s currently sweeping the young adult population. 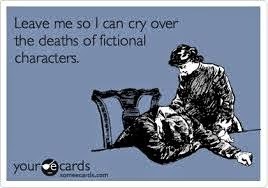 Firstly, I would like to say that I’ve read The Fault In Our Stars and I’ve seen the movie twice. I’ve also read Paper Towns and Looking For Alaska. I like John Green’s books a lot and I respect him as a writer. However, there are a lot of flaws in The Fault In Our Stars and I feel that due to the hype, these issues are usually overlooked. So to start off, I did not cry once. Nope. 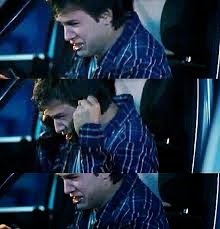 I did not bawl my eyes out when Gus died both while reading the book and watching the movie. I’m not heartless. I just don’t usually cry over books. I read A LOT but I could most likely count on one hand the number of books that have made me cry. Focusing solely on the book, I can understand that some emotional people might have cried. However, it wasn’t that sad. I think this thing started to spread that if you read The Fault In Our Stars, you pretty much had to cry or you would be deemed strange. That was pretty dumb and it really annoyed me. If you didn’t cry, why say that you did? The storyline was good but there were major flaws. Firstly, when a strange old man demands that two very sick minors fly thousands of miles to Amsterdam to visit him in his home, where is the common sense to say ‘hang on a second. Something does not seem right.’ I can excuse the fact that maybe Hazel was too starstruck and excited to think clearly but what about her parents? What about Gus’s parents? What about the Genies? Did no one think to make sure this man was sane before sending two minors to his house all by themselves? What if he had been an axe murderer? Or a drug dealer? That part made no sense. I respect that a background check would not have been the most poetic thing to add to an already poetic love story but there needs to be a reality check here. Secondly, while it is true that some kids are more mature, I felt like they were too mature. Talking about oblivion and metaphors. It’s not like kids don’t talk about that. They sometimes do. But they don’t fixate on it they way they did. In addition to that, they talked in long paragraphs in poetic language. Yes. It is beautiful. I loved it honestly. But kids don’t talk that way. Especially in this day and age. Kids are fast and quick. They use short forms for almost everything. I felt like John Green could have worked a bit harder to make sure the language used by the characters was age appropriate. Thirdly(does that word exist? I don’t know. I’m going to go with it), I felt like Hazel and Augustus’s parents were pretty irresponsible and not as heavily involved as one would expect the parents of two terminally ill kids would be. Gus’s parents are barely mentioned even though Gus found out that the cancer had spread well before the Amsterdam trip. His parents didn’t show up to drop him off at the airport or anything. And they let him walk around with a cigarette hanging from his lips? I mean which parent allows that?? Not to mention what a bad influence that is for all the readers. Hazel’s parents were more involved but not involved enough. Firstly, they let Gus and her go to Peter Van Houten’s house without a background check (or any basic check for that matter. Yes, I am very upset about that part) and Hazel’s mom didn’t insist on following them to the house to at least check the place out. 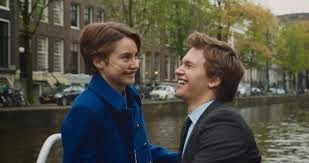 Then, Hazel’s mom let Gus and Hazel walk all over Amsterdam by themselves. Yes they are old enough to manage by themselves but Hazel was lugging around an oxygen tank and Gus only has one leg! Hazel just had a medical scare a few weeks before they left. I don’t know but if that was my kid, I would have been a lot more careful and protective. In a foreign country, you do not let two sick kids go around on their own. What if something happened? Who better then your own mother to help? Finally, how did Gus get to that gas station? 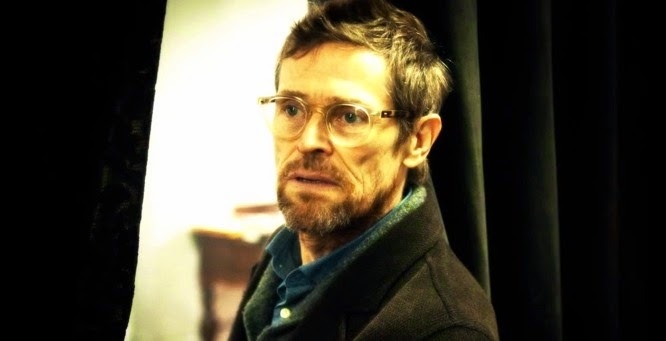 If you’ve been living under a rock, basically Gus drives himself to a gas station in the middle of the night to buy more cigarettes and then finds out that he’s got an infection. He calls Hazel to come get him and begs her not to call the ambulance but he’s crying in pain, throwing up and an absolute mess so Hazel calls an ambulance obviously. My question is, where were his PARENTS??? Between the two of them, you mean to tell me that neither had the brains to not let Gus go out by himself in the middle of the night when he was already so sick? Granted that they may have been asleep but seriously? He has one leg. He’s very sick. Someone had to have heard something. It was pretty irresponsible. I’m not going to go into how John Green basically glamourised cancer and how teens are now starting to wish to have cancer so that they too can have an epic love story. I’m also not going to go into how kids are now taking photos of themselves with cigarettes saying its a metaphor (oh help) but that is what I have to say about The Fault In Our Stars. It was a good book. I liked it. But there were too many plot holes and I feel that the craze over the book has caused so many people to just ignore these flaws and to just focus on the love story. Whatever floats your boat but this is how I feel.